There was really only one wedding planning web site at the time, that was theKnot. It was very frustrating trying to find wedding resources online in 1999 because theKnot was only major market focused back then. If I wanted a photographer from Denver, LA, or New York, no problem ... but there were really no online resources for the Colorado Springs area. So ... I decided to build something to fix this problem right after my wedding. SpringsWeddings.com was born in 1999! 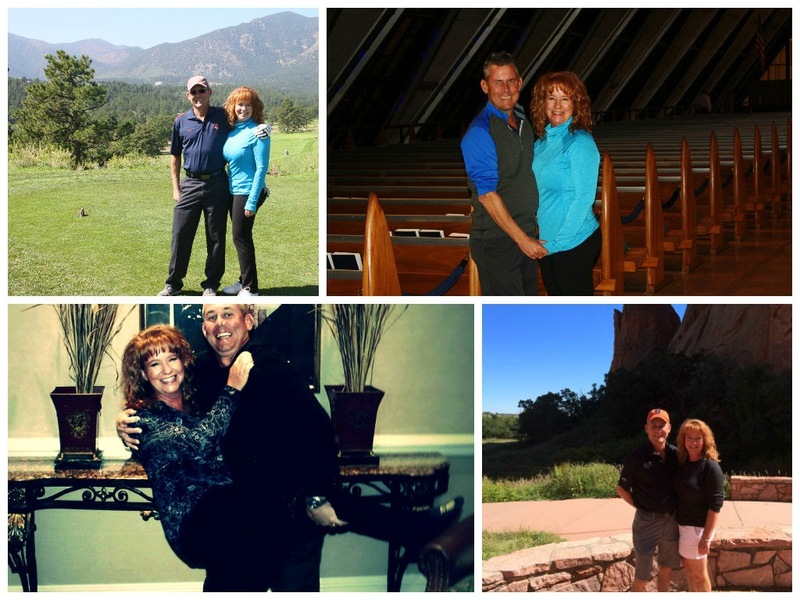 Mike and I just celebrated our 15th wedding anniversary! My husband planned a SURPRISE trip back to Colorado Springs to celebrate. 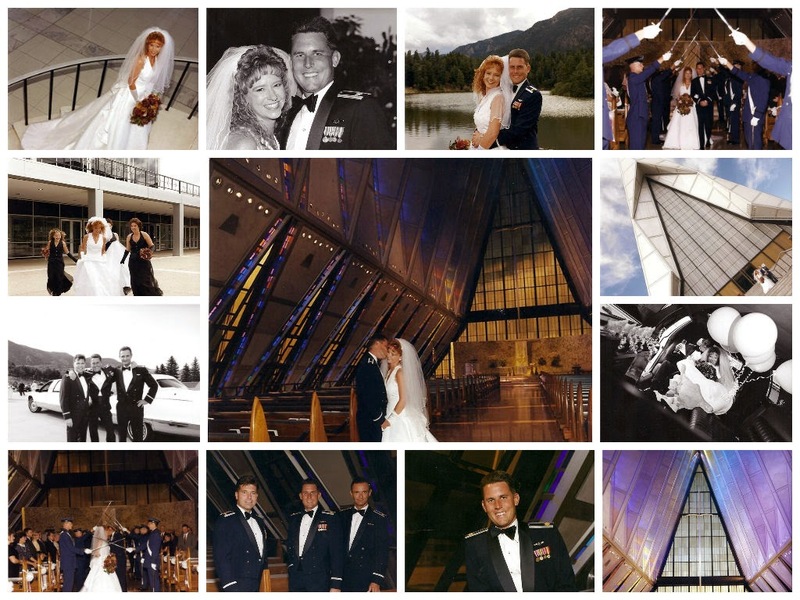 We went back to the Air Force Academy Chapel at exactly 4PM on September 11, 2014. It was a beautiful as ever. Believe it or not, there was a wedding rehearsal going on and the SAME wedding planner was still there! We took a photo with her, of course. I can't get over how romantic is was ... and how amazing MIKE IS for surprising me with it all. Mike retired from the Air Force in 2009 (he spent 24 years in) and decided to come to work with me full-time on the business I had started 10 years prior. When he retired, we moved to Lake of the Ozarks, MO to be near my family and we now work together EVERY day from our home office. Our now 15 year old company is called MSW Interactive Designs. In addition to the wedding planning sites and our WhereBridesGo.com retail store, we are a website design and social media company. We have two full time employees who come to our home office every day and run the social media side of our business, another part time social media team member who works remotely, plus another full time employee who works from Virginia helping me with the website design and maintenance for all of our wedding sites and our other client business websites. The WhereBridesGo.com daily operations are run by my Mom (Jane) and my Step-Dad (Duane) out of St. Louis, Missouri. Trust me ... you couldn't be in better hands for your wedding supplies and accessories. They are not just 9-5 employees ... they helped me build the business from the ground up and they care about each and every bride that comes to the site. They personally handle every single detail of every single order ... and this is what separates us from the hundreds of other wedding supply stores online today. My parents are the coolest people ... ever! It has been amazing working with my husband, my parents, and my small team of talented employees growing our WhereBridesGo.com wedding supplies website, our wedding planning websites, and our web design & social media business. I couldn't ask for a better partner in life and a better team for my business! Thank you, thank you, thank you for trusting my team with the most important day of your life. I hope when you fast forward 15 years, you will look back on your amazing day with beautiful memories, a grateful heart, and that you too will look FORWARD to the next 15 years with YOUR partner for life.